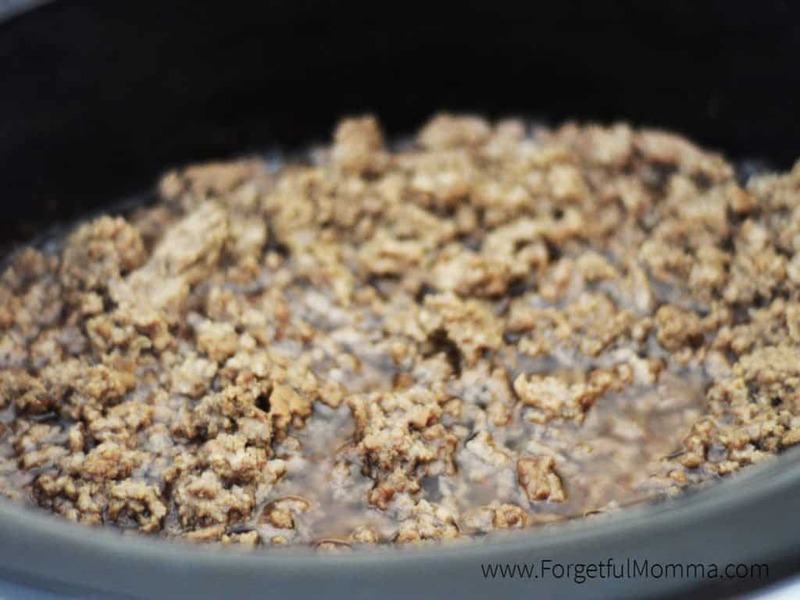 I like making up dump meals for my slow cooker, meals that are ready to be dumped into my slow cooker, meaning I need to brown my ground beef ahead of time. 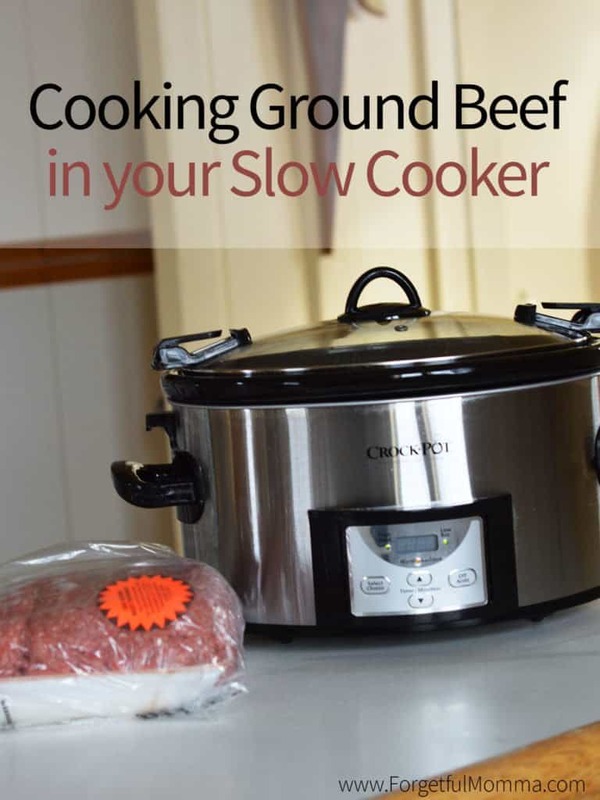 I started using my slow cooker to get the job done quickly and all at once. I buy the largest package of ground beef at my Costco, bring it home and dump it in my slow cooker. Why? Because it saves so much time when I go to make a batch of freezer slow cooker dump meals, I don’t have to dirty every frying pan in the house, I also don’t have to stand over a hot stove. I have a large 7qt slow cooker, so I dump the whole package in. Make sure to break up your ground beef. Cook on high for 3-4 hours or low for 8 hours. Once it is cooked through, because I like my ground beef to be finer I’ll use my potato masher to break it up easily. 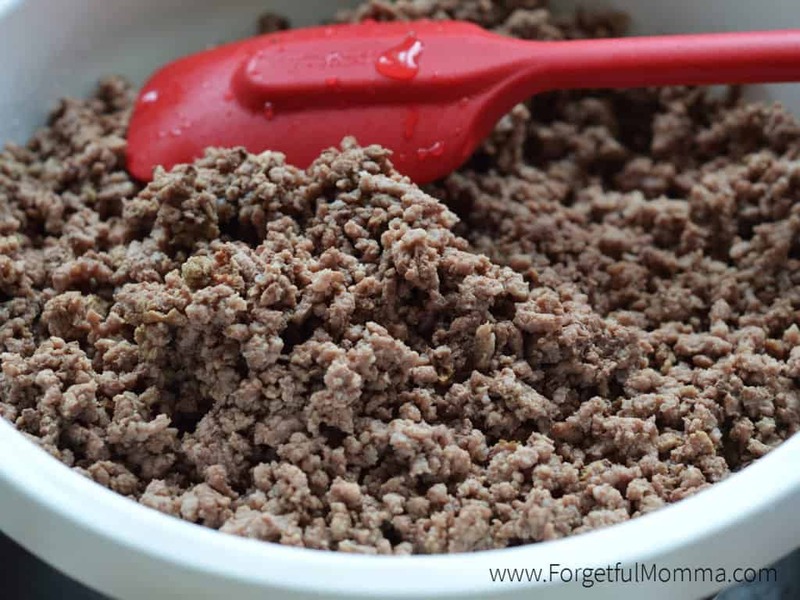 I find my ground beef is a lot less greasy later on after cooking it in the slow cooker. See all that gross greasy on top? We have a tiny little kitchen sink that is useless with the exception that my large colander fits perfectly in it. I dump all the ground beef into the colander for the grease to drain off, plus I rinse it off with warm water. 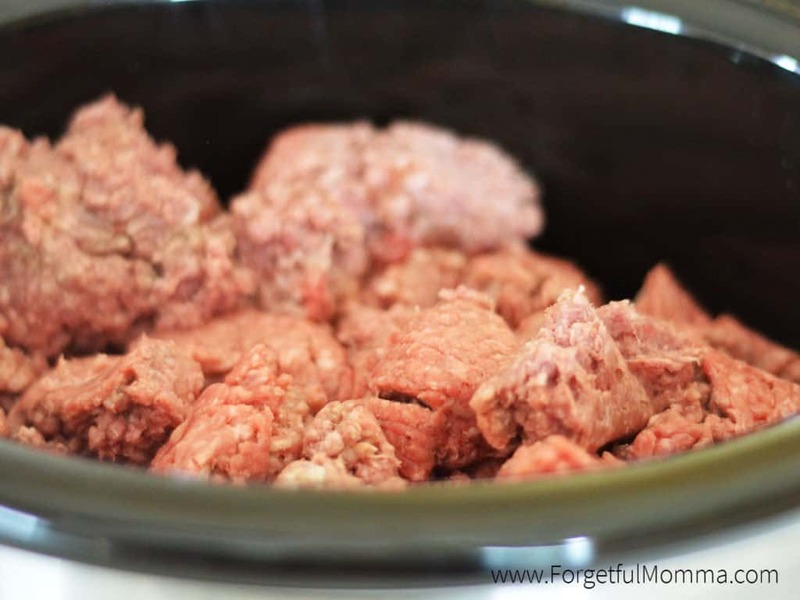 After your ground beef cools, you can bag it up to freeze for cooking later, or bag it in dump meals as I do.